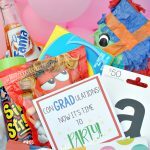 A Peek at the Fun: Do you want a fun and creative gift packaging idea for a birthday present? 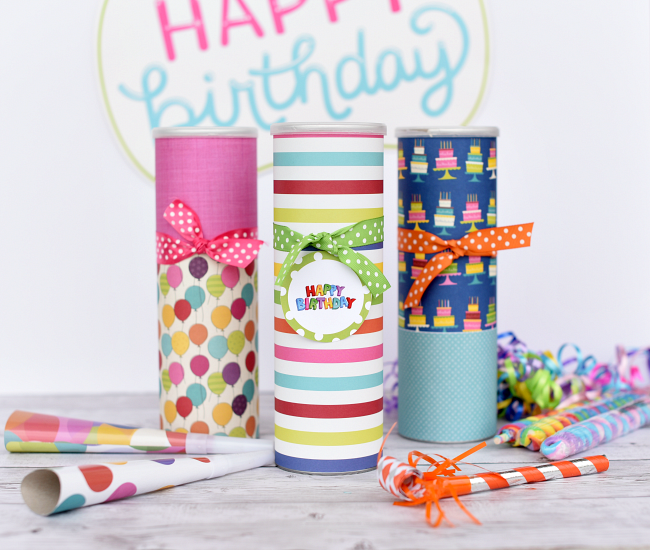 We have these fun cans that are perfect for any birthday gift! 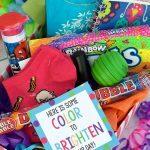 Are you one of those people who think the gift packaging is almost as important as the gift itself? 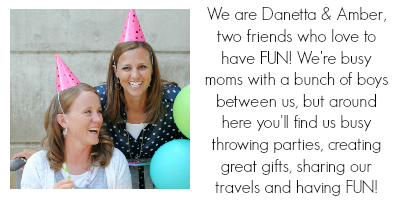 Because if you are, you have met your people here at Fun-Squared! 🙂 We love a nicely packaged gift almost as much as we like the gifts! 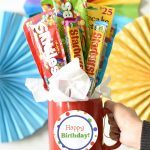 These Pringles cans make an awesome way to package a birthday gift and they are super simple to put together. 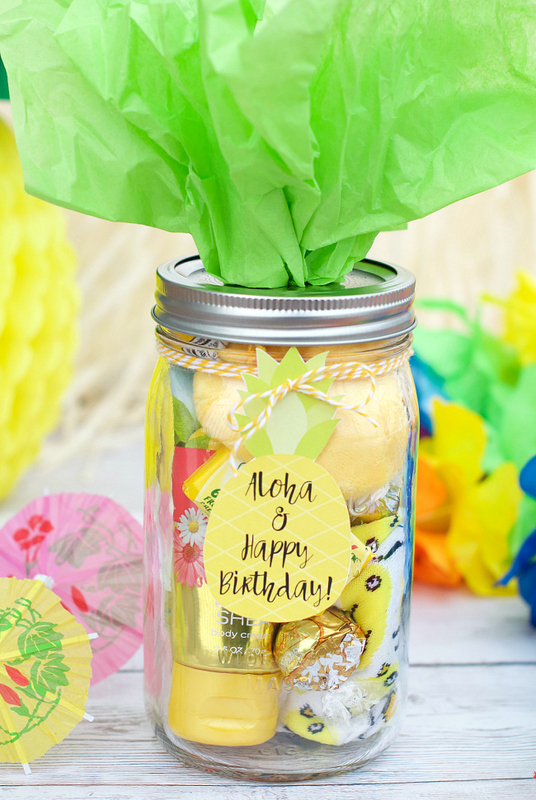 You will have a blast making these adorable cans and they make such fun and creative gift packaging for any present! Aren’t these just so fun!? We fell in love with these bright colors, and the tags to match! Start by emptying your Pringles can. (And eat the chips.) 🙂 Wipe it out. 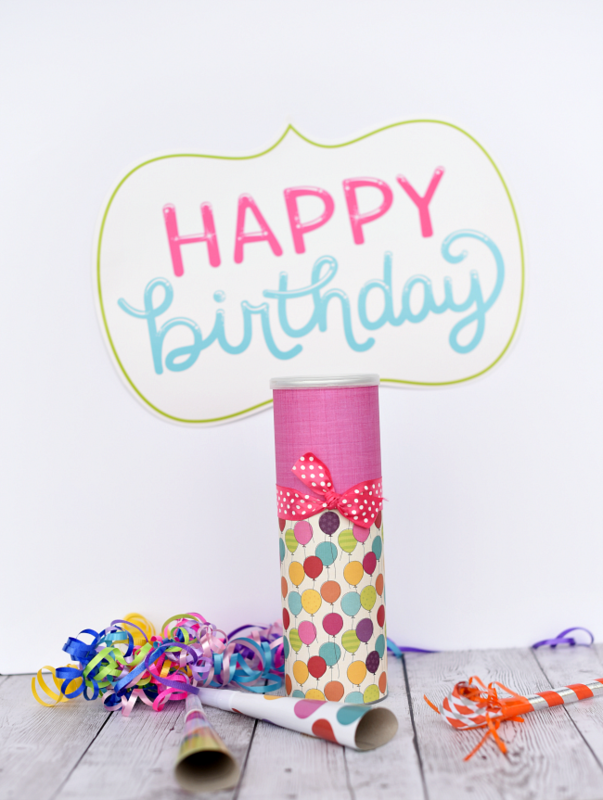 Wrap it around your Pringles can and tape or glue it in place. 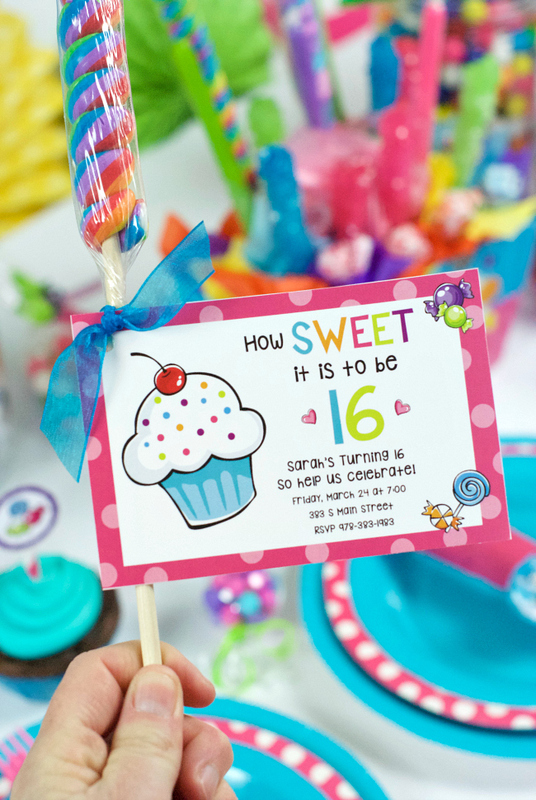 We’ve got some cute tags you can print and use too if you want! 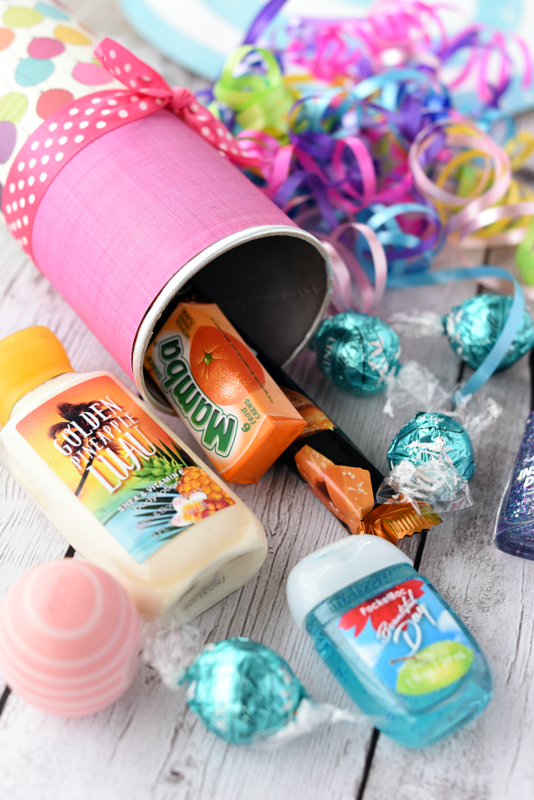 Fill your can with all of your birthday gifts. Look how much fun stuff can fit in these cans!! 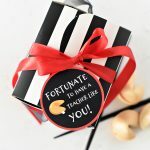 Have fun with this creative gift packaging idea!